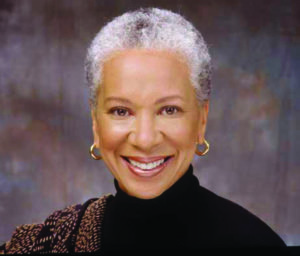 Angela Glover Blackwell, Chief Executive Officer, started PolicyLink in 1999 and continues to drive its mission of advancing economic and social equity. Under Blackwell’s leadership, PolicyLink has gained national prominence in the movement to use public policy to improve access and opportunity for all low-income people and communities of color, particularly in the areas of health, housing, transportation, and infrastructure. Prior to founding PolicyLink, Blackwell was Senior Vice President at the Rockefeller Foundation, the founder of the Oakland (CA) Urban Strategies Council, and a partner at Public Advocates, a nationally known public interest law firm. As a leading voice in the movement for equity in America, Blackwell is a frequent commentator for some of the nation’s top news organizations, including The New York Times, the Huffington Post, Washington Post, Salon, and CNN, and was most recently published in the Stanford Social Innovation Review. She has appeared regularly on such programs as public radio’s Marketplace, The Tavis Smiley Show, Nightline, and PBS’s Now. Blackwell has also been a guest on the PBS series Moyers & Company and PBS’s NewsHour. She is the co-author of Uncommon Common Ground: Race and America’s Future (W.W. Norton & Co., 2010), and has contributed to What It’s Worth: Strengthening the Financial Future of Families, Communities and the Nation (Federal Reserve Bank of San Francisco and CFED, 2015), Worlds Apart: Poverty and Politics in Rural America (Yale University Press, 2014, second edition), and Ending Poverty in America: How to Restore the American Dream (The New Press, 2007), among others. In 2013, Blackwell and PolicyLink collaborated with the Center for American Progress to produce All In Nation: An America that Works for All. Blackwell serves on numerous boards, including the Children’s Defense Fund, the W. Haywood Burns Institute, the U.S. Water Alliance, and FSG. She also advises the Board of Governors of the Federal Reserve as one of 15 members of its Community Advisory Council. Angela earned a bachelor’s degree from Howard University, and a law degree from the University of California, Berkeley.